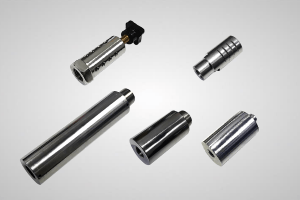 WHY COMPRESSED AIR ACCESSORIES ARE NECESSARY? Filters and Separators – moisture, oil and dirt in airlines can be a problem in using blowoff and cooling products so proper filtration should be used. Nex Flow™ provides water removal filters and recommends a minimum of 5-micron filtration for water removal. 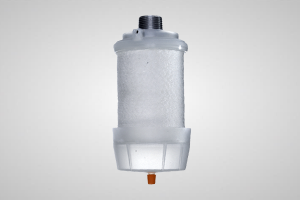 If oil is an issue, Nex Flow™ oil removal filters will filter to 0.3 microns. 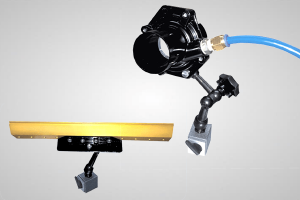 Nex Flow™ also offers two unique products that can reduce the need for filtration in some applications. 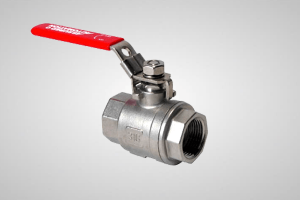 The Nex Flow™ Super Separation will remove 99.99% oil and water from a compressed air system. It cannot guarantee particle size but if water especially is a big problem in air lines, the Super Separator can address it and extend the life of existing filters. 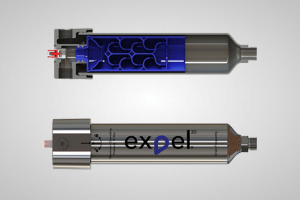 An even higher quality unit is available in the Nex Flow™ Expel filter. 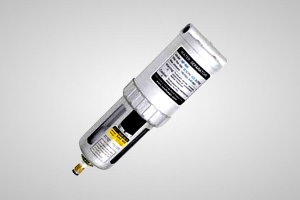 This unit will remove 99.9999% oil and water from a system and guarantee filtration to 1 micron. In many plant systems, this can eliminate the need to for filters entirely. Both the Super Separator and Expel filter ate essentially maintenance free and have a 5-year warranty. 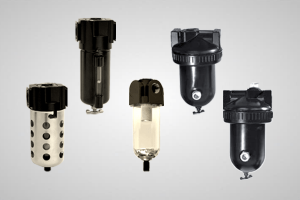 These accessories are worth serious consideration especially in large systems where water and oil removal pose a high maintenance cost utilizing cartridge filters. 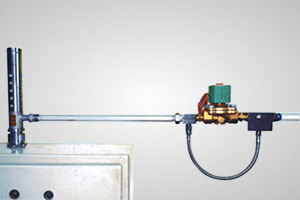 Zero Loss auto Drains – Leaks are a major cost of air compressors. 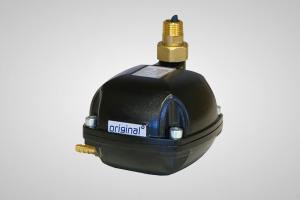 But many auto drains still use solenoid valves to float systems where some compressed air is still thrown out to the environment. This may not be a high cost on small operations but in large factories, it can add up. The zero loss unit offered by Nex Flow™ can address this needless waste of air. 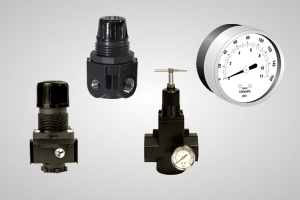 Regulators and manual valves are offered to complement our main products, to help minimize the air cost by optimizing the air pressure you really need and to easily turn on an off items as necessary. 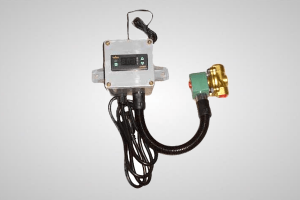 With our vortex tube operated Panel Coolers, Nex Flow™ offers a mechanical thermostat with solenoid valve or a pre-packaged Electronic Thermostat which gives additional control over the temperature setting you want inside your control panel. Using these packages saves compressed air as the units will only operate when necessary. Nex Flow™ Panel Coolers keep panels at a slightly positive pressure to keep out atmospheric air. When using thermostat control, the Nex Flow™ bypass system is recommended to keep a small amount of air flowing into the panel to maintain this positive pressure. 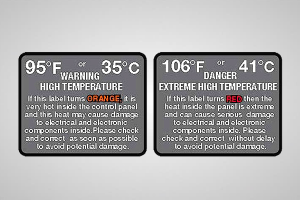 Another accessory provided with every Panel Cooler is a special temperature-sensitive sticker that is put on the outside of a control panel as a qualitative indicator to show if the panel is overheating. These stickers can be purchased separately. 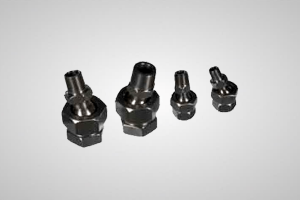 When using Nex Flow™ compressed air nozzles, amplifiers, air knives, there are mounting systems offered for them. 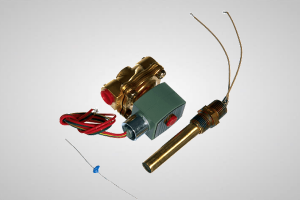 Special mounting systems are available for air amplifiers and air knives. 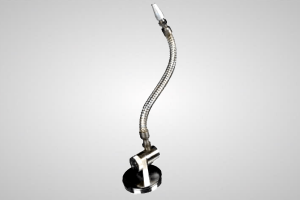 Swivels and a flexible but rigid (Rigid-Flex) hose can be used with air nozzles and jets for aiming where required. 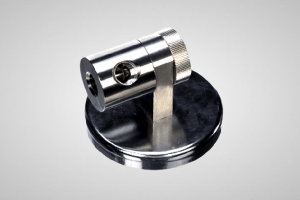 A magnetic base is available to use with the Rigid-Flex hose and for all Nex Flow™ products to secure them on any magnet accepting surface. Reclassifier mufflers are provided for valves and cylinders to eliminate oil mist and reduce noise to improve the factory environment. OSHA standards limit the amount of allowable mist in a factory atmosphere which these units can address. And finally, shims. Nex Flow™ does not use plastic shims in their air knives and other products where shims are utilized because they wear out quickly. Only stainless steel shims are used. 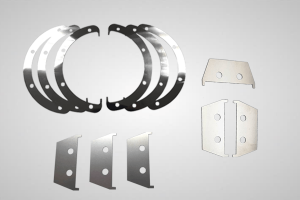 Shim kits and individual sizes are available to replace old shims if necessary, or as spare parts or to open the gaps in the existing products to increase force and flow. Accessories are there to make it easier!! !